If we’re on your property or in your neighborhood, it’s because we’re working to maintain reliable utility service and minimize outages. If we haven’t been by to let you know already, we’re part of a team working with your utility provider or a tree care company. Our work is about ensuring reliable service and minimal outages to your entire community. Vegetation growth near power lines can create serious risk, particularly when high winds or lightning hit. Because of this, we provide key consulting and field data to utility companies on how to proactively manage vegetation following safety best practices. In our work, we often have to balance the desires of property owners to maintain trees and other vegetation with the safety of reliable service. We take this challenge seriously and prioritize the safety of the community in our work. Our team is highly trained in the field and makes recommendations for everything from tree pruning and removal to future vegetation planning based on protecting the rights-of-way. If we’re on your property, that often means that your utility has a right-of-way easement, meaning that they are granted the right to use, access, or transmit a piece of property for the purpose of constructing, operating, and maintaining power lines and equipment. We’ll do our best to respect your property and to inform you when we need to access it. Have more questions about what we’re doing? Send us a message below. 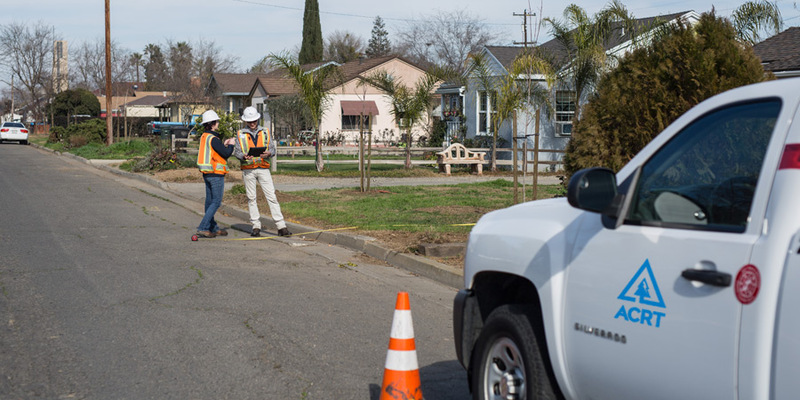 Have questions about work being performed in your neighborhood? The fact that not a single member complained to anyone at the annual meeting about tree trimming is a testament to the great job that ACRT and Nelson Tree Service have done on our system.